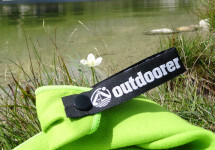 Outdoorer - Equipment, that works! CHECK OUT OUR OUTDOOR EQUIPMENT! and many other outdoor activities and adventures. Take a look at our product range and experience the outdoor spirit. For your journey and awesome outdoor activities we produce great helpers. 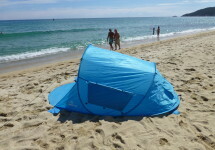 Enjoy sunny days on the beach with our UV-certified beach tents. Browse the wide range of different types. Slow down, journey on foot, hike through mountainous areas and explore amazing natural beauty spots with Outdoorer gear. Backpacking is a great way to travel. Check out our equipment, pack your backpack and hit the trail.